Sometime back I was driving one of my friends home when en-route he asked me to stop by at one of his relatives’ place where he had to pick up something. As he returned to join me, he was accompanied by a young man whom he introduced as his cousin. We were driving along, discussing this and that when the topic of discussion shifted to some current events in our city when suddenly this young man from the back spoke out. He used derogatory and highly objectionable comments about a particular community which left me almost numb with shock and disbelief. Here was this guy, at least ten years younger to me, who hadn’t till then spoken a single sentence which would suggest he was anywhere close to being a sensible adult. And yet, he was spewing venom with such an air of authority which was preposterous to say the least. I could only wonder how this guy, who hadn’t yet been able to even carry himself decently while with a stranger (though through the discussion, I learned he was completing his first year working for a leading multinational company) actually had any sort of opinions about any community or its people. But soon, I realized that it is a common phenomenon with almost every other youngster in India. He or she already has numerous concrete opinions (read:beliefs) about things like religion, caste, society even before growing sensible enough to be a responsible adult. Most of our knowledge is acquired when we are still kids and are growing up through a variety of subjects we learn at school. But it is our homes where most of our beliefs in life take shape. It is at home where a kid hears things about one religion being superior to others, what caste to look down upon, which country to identify as an enemy and so on. And hearing it from the mouth of the person whom the kid idolizes or follows makes it that much easier. Be it the father, mother, grandfather, elder brother, or whoever. Consider two five-year-old kids from two enemy countries being brought up together in a far away land. Away from their respective families and societies. In such a situation, would they resort to grabbing each other by the throat as soon as they are big enough to do so just because they are from enemy countries ? But the same two kids when allowed to be brought up in their own countries with their own families would probably do so and maybe even more when they are old enough. 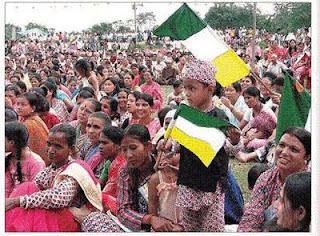 It is very common in India that children grow up surrounded by heavy prejudices regarding religious fundamentalism, castes, enemy countries and even political preferences. In India, you will almost always find all members of a family canvassing for the same political/religious party/outfit without even a hint of difference in opinion. Such an atmosphere, in which a child spends his formative years, only helps to form fanatical beliefs which show their effects once the child becomes an adult. But we never give a thought as to how we are actually passing on nonsensical hatred to our future generations and making their lives as hellish if not more than ours. For example, in India, people who are just turning adults seem to have strong views for or against the contending parties in the ‘Ayodhya issue’. These are people who weren’t even born during those times about 18 years back ! So, how come they hold such strong views on something that happened before they were even born ? The simple answer is that they have grown up around prejudiced talks within their families, relatives and so on. Another example was evident recently when children across several government-schools in U.P. refused to touch the ‘mid-day-meal’ cooked by persons of a certain ‘caste’ clearly showing how even small children acquire certain bizarre mindsets handed over to them by their preceding generation. Would the young ‘stone-pelters’ in Kashmir be such a worked-up lot if they hadn’t been brought up in an environment full of hatred and prejudices ? The homely housewives all across India are the soft targets for religious outfits and political parties alike. You won’t easily find them raising their voices against their genuine everyday needs. But you can always find them coming out in great numbers in religious processions or for voting in elections based on either religion or caste. Would you expect children of such women be any different in their mindsets when they grow up ? The most important aspect of it all is that while in older times, people were more emotional and less thoughtful; the present generation hides the emotions while forming big prejudices. And that can be really dangerous at times. Thankfully, I was never subjected to any prejudiced discussions, discourses or opinions at home. My brother and I were allowed to assess things on their merits before forming our own opinions. In fact, none of us at home ever discuss about whom we would vote for in an election. And I think that is exactly what a democracy means. There are black-sheep in every community, caste, religion, region and country. That doesn’t mean we should generalize the entire population to be good or bad on that basis alone. And always, we tend to ignore the black-sheep of our own ‘herd’, be it our own community, religion or country. 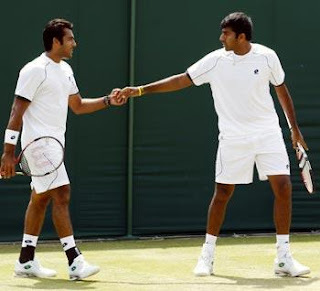 If the families of Rohan Bopanna and Aisam-ul-haq Qureshi had been similarly prejudiced, would they be playing as a successful doubles team in international tennis today ? Do we ever realize how we are building up an atmosphere of war, hatred and tensions for our future generations ? Why should a nine-year-old kid in Pakistan identify India as an enemy country ? Why should a twelve-year-old kid in U.P. refuse to sit with another kid from a ‘so-called’ lower caste ? What business does a fifteen-year-old boy in Maharashtra have to use derogatory names for non-Marathis ? We simply continue to hand over this legacy of prejudice through each generation either unknowingly or on purpose. We never ask ourselves if we would be happy to let our children grow up amidst fears of a nuclear war, caste based conflicts or religious genocides. We just seem to be happy giving vent to our own false beliefs which were imparted to us by our past generations. If we want a peaceful world and a happy life for our future generations, we will have to trash our prejudices and keep our children away from any such influences so that they are capable enough to make their own opinions, beliefs and decisions.